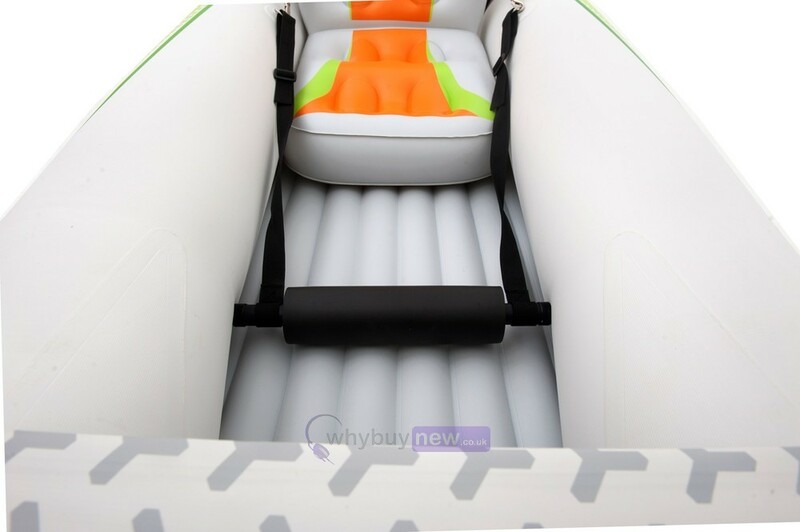 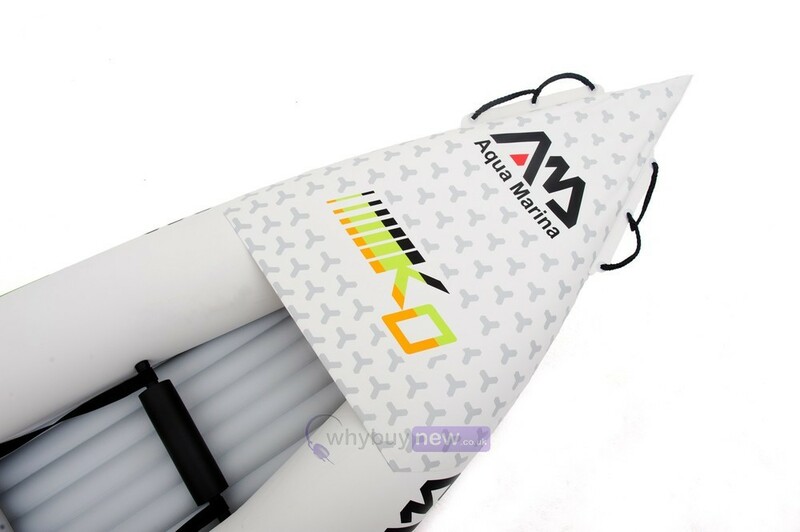 Aqua Marina Betta HM-KO single person inflatable kayak which includes the foot pump, nanometer, carry bag, inflatable seat, centre fin and repair kit. 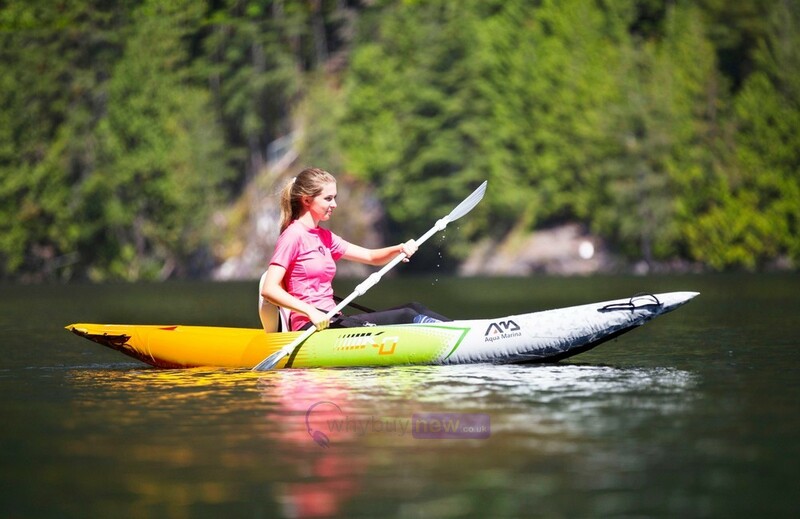 Enjoy the great outdoors with a friend (or two! 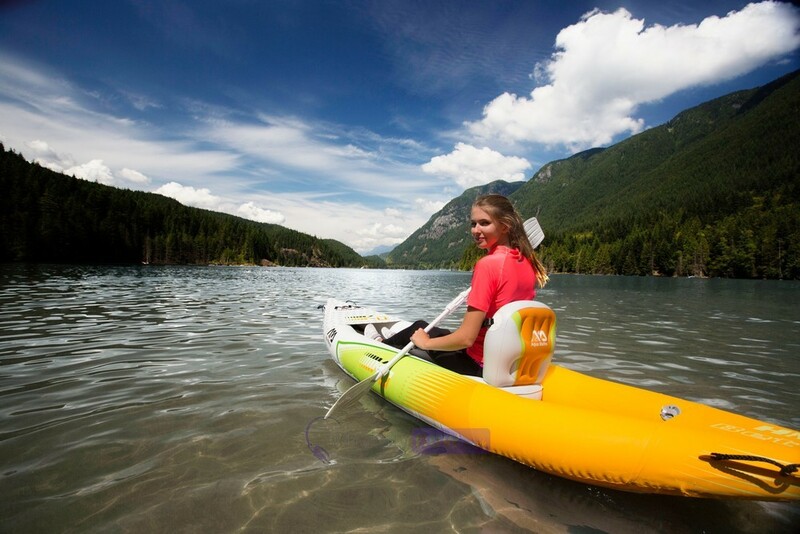 ), designed for rugged sturdiness, Betta HM kayaks offer portability, easy storage and fast set up. 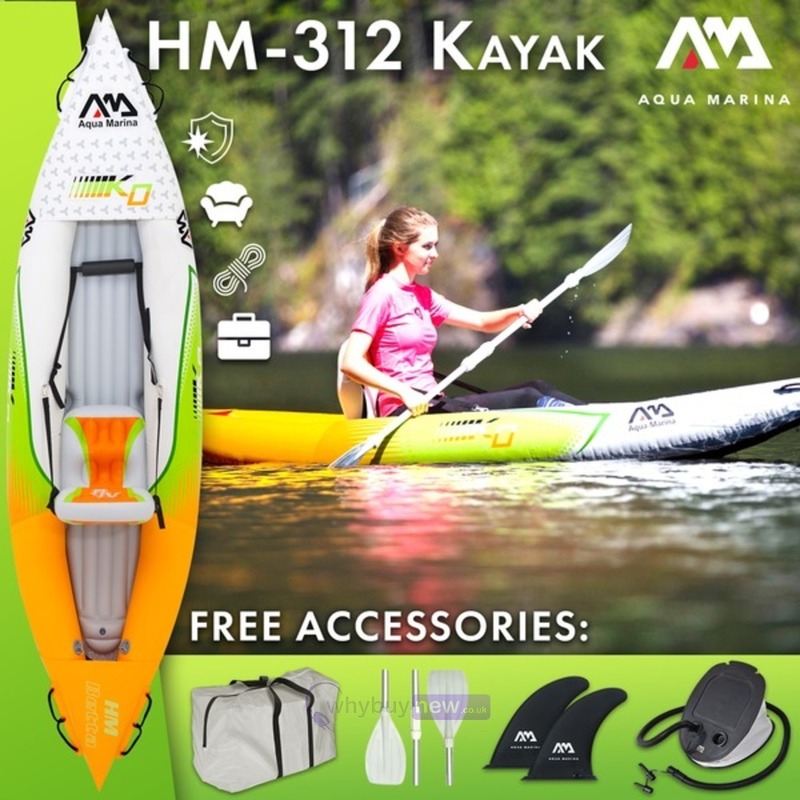 HM is up to 13'9" (412cm), one or two person kayak designed for lakes and moderate water. 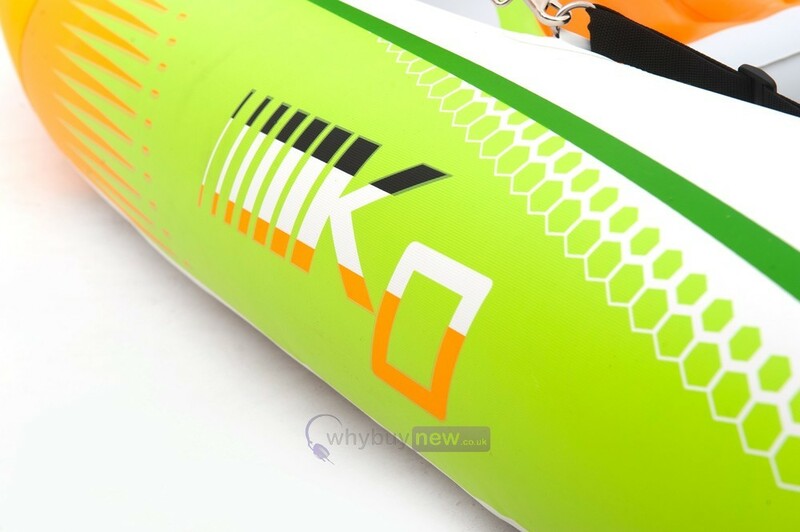 This inflatable kayak weight up to nearly 29.8lbs (13.5kg), and has a weight capacity of 342lbs (155kg). 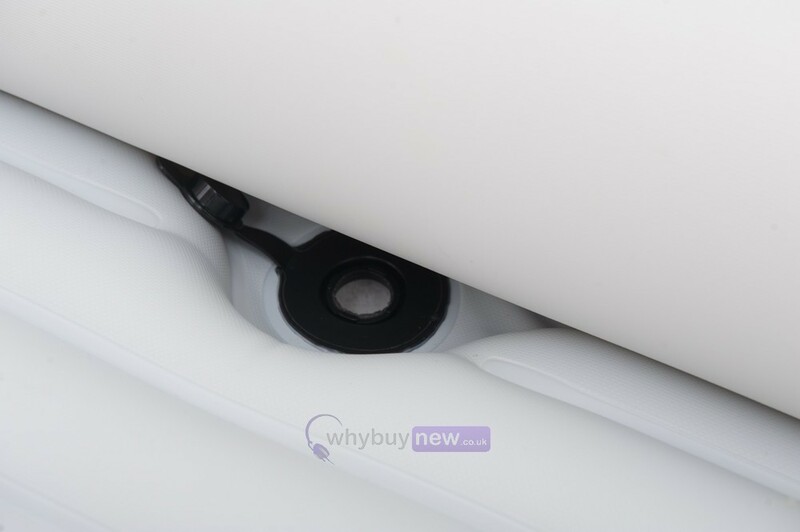 It has tracking skegs that make maneuvering easy even for a novice user. 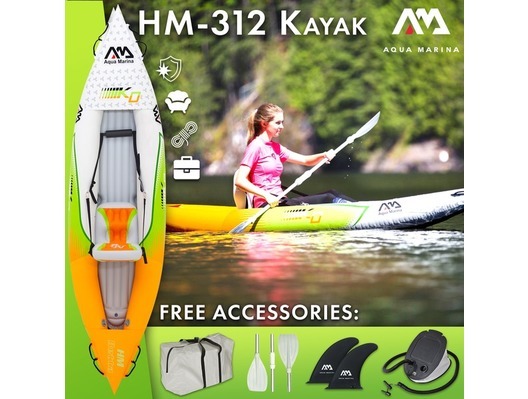 Betta HM is a natural choice for beginners to intermediate level paddlers.